An expression of confidence & refined character Combines with notes leather, tobacco & greens An original, masculine & woody fragrance Conveys a distinctive & sensitive style Perfect for casual wear. Classified as a sharp and floral fragrance Contains wallflower and amber Evokes the freshness of florist mixed wiht rosary tones Incredibly exudes an aura of warmth & harmony Ideal for daily wear. 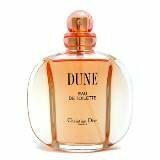 Christian Dior EAU SAUVAGE 150ml Mens DeodorantLaunched by the design house of Christian Dior in 1966, EAU SAUVAGE is classified as a refined, fruity fragrance. This masculine scent possesses a blend of rosemary, lemon, citrus and basil. It is recommended for evening wear.